India's first virtual 3D planetarium in Mangalore!! 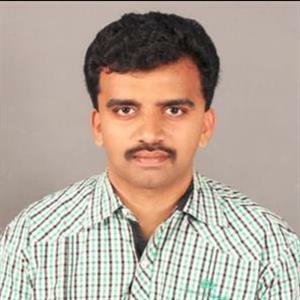 Sri Ramachandra Murthy March 2, 2018 14:04 IST India's first virtual 3D planetarium in Mangalore!! 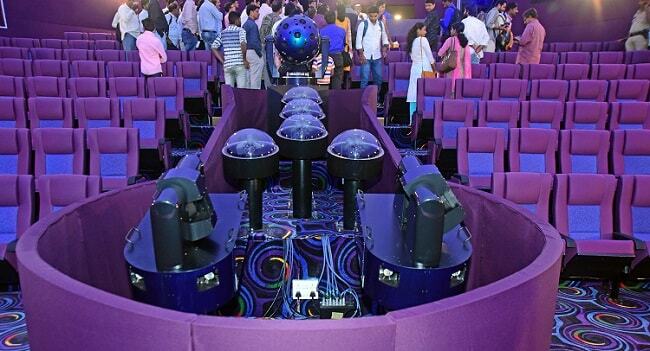 India's first virtual 3D planetarium has been set up in Mangalore, with just a month left for the launch of Chandrayaan 2. The Swami Vivekananda 3D Planetarium in Mangalore, has a projection dome, which is 18 meters in diameter, and is located at Doctor Shuvaram karanth Pilikula Nisargadhama. The planetarium at Pilikula, boasts of latest technologies to take the visitors on a celestial tour, and plans to attract students, astronomers and space observers. The observatory makes use of Megastar IIA optical projector, developed by Japan based Ohira Tech, and the LED Based projector of 8K resolution comprises of 32 lenses with the capacity to beam 20 million stars seamlessly, without projected or overlapping visuals. While being equipped with stereo 3D glasses, the people visiting will also get a feel of the celestial bodies and the astronomical objects, with the UHD enhancing the overall experience. The dome's 15 degree tilt can also help the audience get the experience of space travel. The planetarium also has 5.1 surround system. This project, which began in 2013, has been developed at a cost of 24 crores, and finally, with an escalated budget of 35 crores, has been completed. It can seat 70 people, and the pricing of tickets is at a nominal 60 Rs for adults and 25 Rs for children, per show, with shows in English, Hindi, Kannada and Malayalam.